If you ever find yourself in central Sanborn County, and you feel the urge to shoot some hoops, rest assured that a sturdy cottonwood tree in the town of Forestburg is waiting. In 1950 a 10-year-old boy who loved basketball found a wooden bushel basket that had a metal rim. He nailed it to that tree near his home just a couple blocks northeast of the school. There he and his friends spent countless hours through the following years mastering their shooting skills. Nearly 70 years have passed and that tree still stands and the rim is still attached, testimony about a simpler time. Read about life and about basketball in small-town South Dakota during the 50s in the upcoming 2019 Spring Newsletter that will be published soon by the South Dakota High School Basketball Hall of Fame. Our free newsletter is produced twice yearly, in the spring and in the fall, with more than 1,100 readers from 34 different states on our mailing list. The 10th edition of the newsletter will be mailed in May. Among other interesting stories is a study of the different methods embraced by South Dakota and its neighboring states in crowning state champions. And a story about a proving ground where South Dakota’s best players once gathered to test one another. The South Dakota High School Basketball Hall of Fame held its 10th annual induction ceremony and banquet March 23 at the Ramkota Hotel in Sioux Falls. Welcomed into the Hall of Fame before a large and appreciative audience were 15 new members, all elite former players whose impressive credentials rank them among the state’s all-time best. Plaques recognizing the Class of 2019 will be displayed in the Hall of Fame area of the Sanford Pentagon. Members who will comprise the Class of 2020 will be selected during upcoming months and then announced next winter. The Hall of Fame’s board of directors will soon begin the important process of evaluating nominees. To see a list of the selection criteria, and to download an official nomination form, simply click on Nomination Form on this website. For a decade the South Dakota High School Basketball Hall of Fame has strived to research, document and illuminate the splendid careers of the very finest players ever to display their talents on the basketball courts across our state. Our milestone 10th annual induction banquet will be held at 1 p.m. on Saturday, March 23, at the Ramkota Hotel which is located in northwest Sioux Falls. Fifteen all-time greats will be inducted into the Hall of Fame, bringing total membership to 158 of the most recognizable names in South Dakota basketball history. Tickets remain available and cost $35. Children 10-and-under are $10. Tickets include the induction ceremony, a catered meal and the souvenir booklet shown at right. Orders can be made through the PayPal option on the lower right-hand portion of this website or by sending a check to SDBBHOF, 2210 W. Pentagon Place, Sioux Falls, SD 57107. Tickets will be available at the door for $40 and $15. Included in the Class of 2019 are Jodi (Pipes) Altenburg, Scott Beckstrand, Mike Begeman, David Fischer, Shannon (Schlagel) Huber, Megan Mahoney, Alan Nissen, Henry Park Jr., Doug Peterson, Cregg Skarin and Lindsay Thomas. Those to be inducted posthumously are LeRoy “Lefty” Engebritson, Rolland Furois, Freddie Knife and Russell “Sox” Walseth. 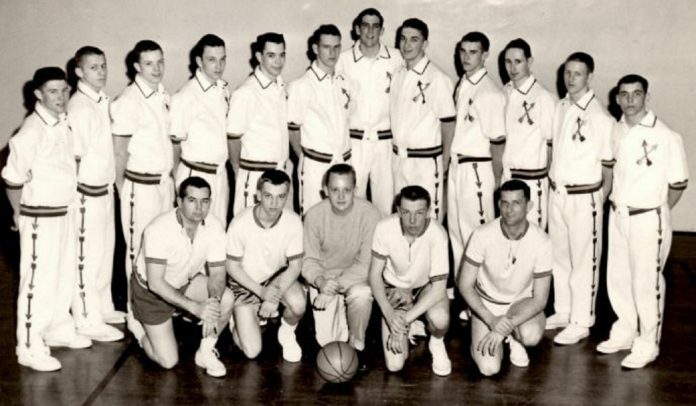 To be honored at the banquet as this year’s Team of Excellence is Watertown of 1959. A reception for inductees will be held from 4-6 p.m. on Friday, March 22, at the Ramkota. Please use the east parking lot and entrance. The reception is free and dress is casual. Refreshments will be available. On hand during the reception will be members of the Class of 2019 as well as many Hall of Fame members who were inducted during previous years. Hall of Fame Weekend is a time to celebrate South Dakota’s proud basketball heritage. We hope to see you then. For 51 years Don Jacobsen was the South Dakota prep basketball career scoring leader. He amassed 2,825 points before graduating from Lake Norden High School in 1957. Jacobsen died Feb. 11 at age 79. He lived in Sioux City, Iowa. After his career at Lake Norden ended Jacobsen starred at South Dakota State University. He was chosen to the all-North Central Conference team three times and led the league in scoring when he averaged 23.6 points per game in 1961. Jacobsen totaled 1,488 points during his time as a Jackrabbit. He led SDSU to three NCC championships and a third-place finish in the 1961 NCAA College Division National Tournament. He was selected by Syracuse in the NBA Draft. A successful coach, Jacobsen spent nine seasons guiding the Red Raiders of Northwestern College (Iowa). He had an overall record of 159-79 at Northwestern and took the Red Raiders to the NAIA National Tournament twice. Jacobsen held the state career scoring record for over a half-century until it was broken by Louie Krogman of White River in 2008. Jacobsen was recognized as a charter member of the South Dakota High School Basketball Hall of Fame. He was inducted in the inaugural Class of 2010. He was also a member of the South Dakota Sports Hall of Fame as well as the Jackrabbit Sports Hall of Fame. 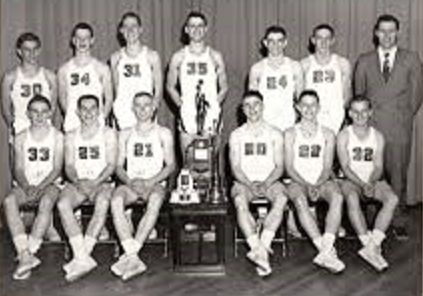 The Watertown High School Arrows claimed the first state basketball championship in school history in 1959. And they did so in impressive fashion, winning their three games in the State Class A Tournament by an average margin of 24 points. All-American center Tom McGrann scored 32 points to set a championship-game record as Watertown defeated the Lead Golddiggers 65-38 in the finals. McGrann went on to star for the University of Minnesota. Because of their exceptional accomplishments the Arrows are being honored by the South Dakota High School Basketball Hall of Fame as its Team of Excellence for 2019. The Arrows will be recognized at the Hall of Fame’s 10th annual banquet March 23 at the Ramkota Hotel in Sioux Falls. Inducted will be 15 former greats from across the state. Watertown was coached by Jim Marking. His assistant was Bud Belk. Both later had successful coaching careers at the collegiate level, Marking at South Dakota State University and Belk at North Dakota State University. Redfield/Doland’s Pheasants defeated Lake Preston 57-35 in the Hall of Fame Game on Jan. 5 at the Sanford Pentagon in Sioux Falls. The matchup was a re-creation of the first state championship game in South Dakota prep history. That historic game was played in 1912 and was won by Redfield 33-25 at the old Daum Opera House in Huron. The South Dakota High School Basketball Hall of Fame hosted the Hall of Fame Game, 107 years after Redfield and the Divers met in 1912, as part of its observance of the 10th anniversary of the founding of the Hall of Fame in 2009. The Hall of Fame Game was part of the 4th annual Samaritan’s Feet Barefoot Classic, an event presented by Sanford Health. Ten boys games were featured throughout the day. Samaritan’s Feet is a humanitarian aid organization. ‘Cloddy’ is a new book that profiles the career of Dwane “Cloddy” Clodfelter. 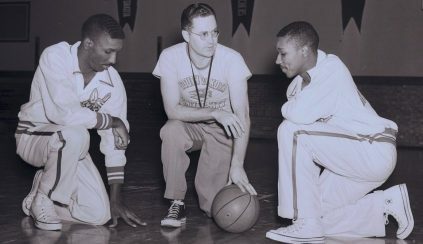 A native of Woonsocket, he coached the University of South Dakota to the NCAA College Division national basketball championship during the 1958 season. That team featured standout guards Cliff and Jimmie Daniels, pictured with Clodfelter in the USD photo at right. The book examines the dynamics of the late Clodfelter’s recruitment of the Daniels brothers from Brooklyn, N.Y., and the role Clodfelter played in the integration of college basketball. Clodfelter guided the Coyotes from 1954-67. His teams won North Central Conference championships in 1957 and 1958. Earlier he coached at six South Dakota high schools – Forestburg, Fedora, Alpena, Centerville, Yankton and Huron. The author of ‘Cloddy’ is Clodfelter’s son Kim. The 306-page hardcover book with dust jacket is available through Leone Press in Murfeesboro, Tenn. Go to the website www.kimclodfelter.com for instructions about how to order. Two of the most iconic figures in our state’s basketball history are among the 15 former greats who will be inducted into the South Dakota High School Basketball Hall of Fame during 2019. Russell “Sox” Walseth and Megan Mahoney are in the Class of 2019 to be honored at the Hall of Fame’s 10th annual induction banquet at 1 p.m. on March 23 at the Ramkota Hotel in Sioux Falls. Walseth led Pierre to the Class A state championship in 1944 and then starred at guard for the University of Colorado. Later he returned to the Buffaloes and eventually became the first coach in the history of NCAA basketball to lead both the men’s team (1956 through 1976) and the women’s team (1980 through 1983) at the same school. Jubilant players lift Walseth to their shoulders after a Colorado victory in the photo above from the Walseth family collection. Mahoney was chosen to the Class AA all-state team a record five years during her career for Sturgis. She scored 2,066 points for the Scoopers. Mahoney was an all-Big 12 Conference guard/forward at Kansas State University and played for the Connecticut Sun in the WNBA. In the KSU photo above Mahoney brings the ball up the court for the Wildcats. The Watertown Arrows of 1959 will be recognized during the banquet as the Team of Excellence for 2019. Jim Marking coached the Arrows to the State Class A Tournament championship and a 20-2 record. Ticket information, and details about a reception for inductees on March 22, will be announced later on this website. Jodi (Pipes) Altenburg, Harrisburg (Armour 1988): Armour went 73-3 and won three Class B state titles with Altenburg as point guard. As a senior she averaged 21 points per game and finished with a career total of 1,333. Altenburg went on to become an all-North Central Conference player at the University of South Dakota. Scott Beckstrand, Sioux Falls (Lincoln 1989): Beckstrand sparked Lincoln to three Sioux Interstate Conference championships, being league MVP twice, and three Class AA state tournaments. He scored a school-record 1,289 points. Beckstrand was a four-year starter at Augustana University where he was all-NCC and finished with 1,681 points. Mike Begeman, Sioux Falls (Parker 1975): An elite shooter, Begeman led Parker to a three-year record of 70-10 and runner-up finishes in the Class B state tournaments of 1973 and 1974. He averaged 24 points per game as a senior and had a total of 1,477 during his career with the Pheasants. Begeman was a four-year performer at Augustana. LeRoy “Lefty” Engebritson (Webster 1946): The late Engebritson made a half-court shot at the buzzer to beat Platte in the quarterfinals of the 1946 State Class B Tournament. The Bearcats won the title and went 29-1. Engebritson was so talented that he played both Big Ten Conference basketball and football at the University of Minnesota. Dave Fischer, Hartford (Wall 1961): An incredibly rare seven-year varsity player, Fischer transferred from Quinn to Wall as a senior. He averaged 24 points per game for the Eagles and totaled 2,049 in his final four seasons. 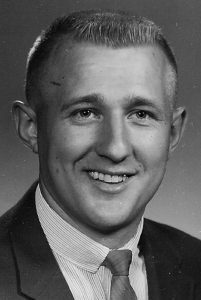 Fischer went on to South Dakota State University and helped the Jackrabbits to the NCAA College Division national title in 1963. Rolland Furois (Deadwood 1940): The late Furois was the catalyst behind two state championships. Deadwood won its second consecutive Class B title in 1940 as Furois’ eight late-game points rallied the Bears past Gregory 38-33 in the finals. In a low-scoring era, he netted 30 points in the tournament and was chosen all-tourney for the second year. Shannon (Schlagel) Huber, Clark (Clark 2001): Clark had a runner-up and third-place finish in the Class A state tournament as Huber scored 1,518 career points on teams that went 71-16. She was a four-year starter at South Dakota State who totaled 1,887 points. Huber and the Jackrabbits won the NCAA Division II national title in 2003. Freddie Knife (Cheyenne Agency 1959): The late Knife’s ball-handling and passing were invaluable assets for Cheyenne teams that achieved back-to-back records of 33-1 and 31-3. The Braves finished third in the Class B state tournament in 1958 and then behind Knife won the championship in 1959. Knife averaged 15 points per game. Megan Mahoney, Black Hawk (Sturgis 2001): Mahoney paced Sturgis to runner-up finishes in the Class AA state tournament in 1998 and 1999. She started every game while at Kansas State as the Wildcats had a four-year record of 104-27. After her time in the WNBA, Mahoney has played more than 10 years professionally in Europe. Alan Nissen, Lincoln, Neb. (Miller 1968): After leading Miller, among the smaller schools in Class A, to two state tournaments, Nissen became a three-year starter at the University of Nebraska. Miller claimed third in the 1968 tourney as Nissen led all scorers with 70 points. He averaged 20 per game as the Rustlers finished with a 21-3 record. Henry Park Jr., Chester (Chester 1945): Chester had never reached a state tournament until Park paced the Maroons to the Class B event in 1945. He scored 31 points in a single game and finished the tourney with a record total of 59. Chester took fifth. Park later had a distinguished career playing military basketball while serving in the U.S. Army. Doug Peterson, Rapid City (Watertown 1960): Peterson played in two consecutive Class A state title games, with Watertown claiming a championship in 1959. A noted passer and defender, Peterson averaged 13 points per game as a senior. While at South Dakota State, he was a key member of the NCAA College Division national title team in 1963. Cregg Skarin, Redfield (Hitchcock 1970): The leading scorer in the 1970 Class B state tournament, Skarin notched 88 points for fifth-place Hitchcock. He averaged 21 per game that season for the Bluejays as they went 27-2. Skarin was an all-South Dakota Intercollegiate Conference player at Huron College and surpassed 1,000 career points for the Tribe. Lindsay Thomas, Miami (Roosevelt 2002): During her high school years, Thomas never experienced defeat. Roosevelt earned four Class AA state titles and was undefeated each season. Thomas averaged 19 points per game as a senior. While at Colorado State University she was twice chosen to the all-Mountain West Conference team. Russell Walseth (Pierre 1944): The late Walseth starred in basketball at Pierre and Colorado. He also played baseball for the Buffaloes and in the New York Yankees farm system. 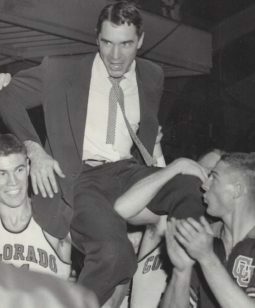 He was Big Eight Conference men’s coach of the year five times while guiding the Buffaloes and he later earned the same award as coach of the Colorado women’s team. How does a community cope in the aftermath of an unthinkable tragedy? Read in our 2018 Fall Newsletter about how a town and its high school basketball team found the strength and the resolve to carry on through the most trying of circumstances. The South Dakota High School Basketball Hall of Fame publishes two newsletters each year. The ninth edition was sent Nov. 14 to the nearly 1,100 people from 34 states who are currently on our mailing list. All of our newsletters can also be read on this website.